The authors find that graduates from subjects such as science, engineering, and medicine are strongly over-represented among Islamist movements in the Muslim world, though not among the extremist Islamic groups which have emerged in Western countries more recently. They also find that engineers alone are strongly over-represented among graduates in violent groups in both realms. This is all the more puzzling for engineers are virtually absent from left-wing violent extremists and only present rather than over-represented among right-wing extremists.' 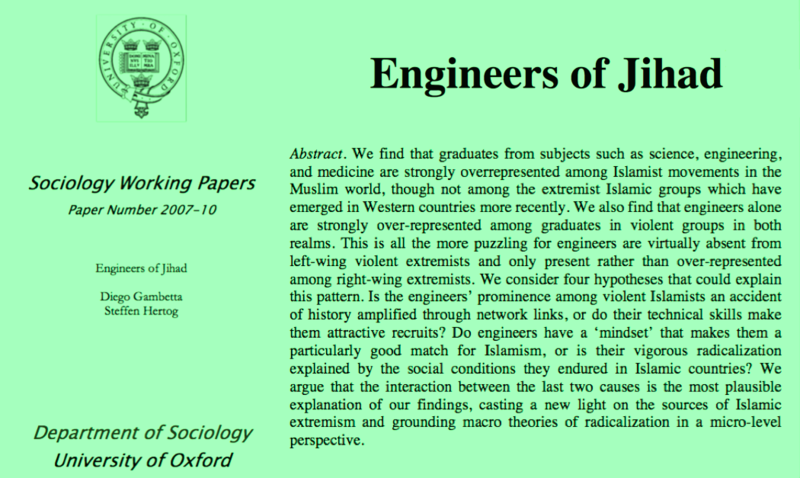 In trying to understand and explain the phenomena, the authors considered four hypotheses, asking: is the engineers’ prominence among violent Islamists an accident of history amplified through network links, or do their technical skills make them attractive recruits? Do engineers have a ‘mindset’ that makes them a particularly good match for Islamism, or is their vigorous radicalization explained by the social conditions they endured in Islamic countries? 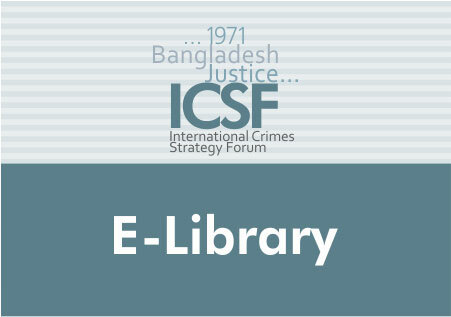 The authors argue that the interaction between the last two causes is the most plausible explanation of their findings, casting a new light on the sources of Islamic extremism and grounding macro theories of radicalization in a micro-level perspective.